Hemiplegia is a condition, the effects of which are similar to a stroke. It is caused by damage to the brain (most often before or around the time of birth) and it results in a varying degree of weakness and lack of control on one side of the body. In one child this may be very obvious (he or she may have little use of one hand, may limp or have poor balance); in another child it will be so slight that it only shows when attempting specific physical activities. Approximately half the children have additional diagnoses such as epilepsy, visual impairment or speech difficulties. Other challenges can include perceptual problems, specific learning difficulties or emotional and behavioural problems. Our resources The library at The Brain Charity has a range of resources on Hemiplegia and on a wide range of disability-related issues. A group of inherited disorders, which are characterised by progressive weakness and stiffness of the legs. Our resources The library at The Brain Charity has a range of resources on Hereditary Spastic Paraplegia (HSP) and on a wide range of disability-related issues. An hereditary, neurodegenerative disorder of the central nervous system, which causes emotional, intellectual and movement problems. The course of Huntington's is characterised by involuntary movement of the limbs, trunk, and face, progressive loss of mental abilities, and the development of psychiatric problems. Huntington's Disease usually appears in middle age (30-50 years), but can develop in younger and older people. Types Juvenile HD refers to anyone who develops symptoms of the disease before the age of 20. Those affected often experience more muscle rigidity than when developed in adulthood. The library at The Brain Charity has a range of resources on Huntington's Disease and on a wide range of disability-related issues. 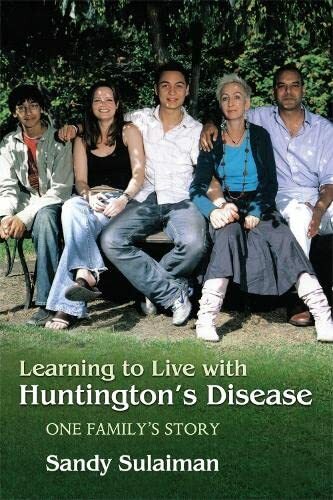 Visit our library to read Learning to Live with Huntington's Disease: One Family's Story by Sandy Sulaiman. Or have a look in your local library for this book. Hydrocephalus is caused by a build up of cerebro-spinal fluid (CSF) in the ventricles of the brain. It can occur in association with Spina Bifida. Other causes include infections such as meningitis, premature birth, a head injury or a stroke. Hydrocephalus can lead to problems with skills such as concentration, short-term memory, organisation and co-ordination. Our resources The library at The Brain Charity has a range of resources on Hydrocephalus and on a wide range of disability-related issues.